On this page you can download GeForce Stereoscopic 3D Driver 181.25. 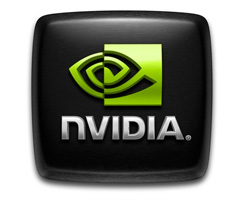 This is an updated GeForce 3D Vision driver recenty released by NVIDIA. You can only install this driver if you have the installed the latest GeForce Graphics drivers v181.22. DepthQ HD 3D Projector by LightSpeed Design, Inc.
New stereoscopic 3D game support. In-game mouse cursor now supports correct 3D object depth. To use it, disable the Hardware Cursor support in World of Warcraft. Download the GeForce 3D Vision driver. Ensure you have the latest GeForce Graphics driver v181.22 installed. Launch the GeForce Stereoscopic 3D driver file by double clicking on it. We havea discussion thread open on these drivers right here. Note: If you have problems downloading GeForce Stereoscopic 3D Driver 181.25, please try to stop using your download manager and avoid right clicking on files. Also, check your firewall settings, because some mirrors may require that you do not block the HTTP referrers.